In this review we show that “Quick Cash Method” is a binary options scam. It is presented by Michael Thompson who pretends to be an elite binary options trader. 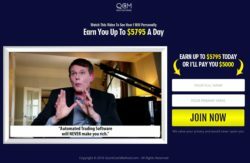 Thompson says that automated trading apps won’t make you any money on binary options, this is why he is offering you a software that will provide you with signals to make trades, it is called Quick Cash Method. Thompson says that when you trade with his app it is impossible to fail, guaranteed. He allegedly never has losing trades and he will let you mirror his winning trades. 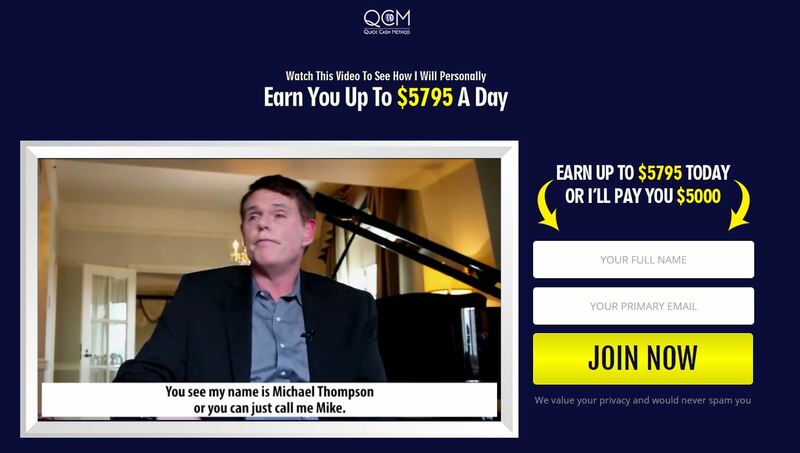 The Quick Cash Method signals platform is free, although according to Thompson it usually costs $3,000 per month. The presentation of Quick Cash Method is so stupid that it is funny. Thompson says that automated trading software cannot make you money but signal software can. But what is the difference, if a software can give you signals, it can also make trades for you, if the only thing you have to do is to click a mouse. The difference is just a few lines of code. The first thing you should realise is that Quick Cash Method is not free. You won’t be allowed to use the software until you deposit at least $250 with a selected unregulated broker. This means that you will have to be risking your own money with a unknown software from the first trade. And you can be sure that you will lose money. Forget about any so called guarantees, you won’t even be able to contact Thompson, because it is a fictitious character played by an actor. Ale the trading account statements and results that you see in the Quick Cash Method video are fake. It is very easy to fake them and scammers do it every time. None of the picture is genuine. Now here is the biggest proof that Quick Cash Method is scam. Look at the picture. You’ll see that the same software that is used by Quick Cash Method is also used by other scams. It is a software developed and used by scammers only, lately it has been used by the Profit Protection and Bank Tracker Bot scams for example. This software is losing money to its users, we have many confirmations of this fact. 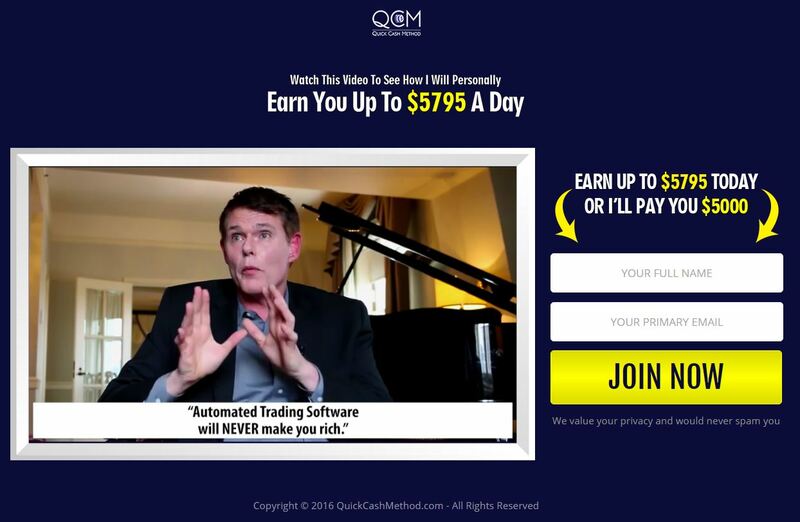 Quick Cash Method is a scam that abuses binary options to make you lose money with a crappy software. If you want to see how real money can be made with binary options, try a free demo account. There you can learn trading and develop a profitable strategy that is needed to achieve profits.